Come enjoy our incredible 27 flavors of soft serve ice cream with mix-ins that are too delicious to pass up! 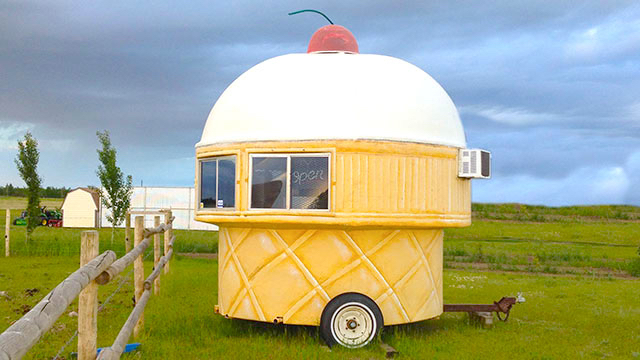 All served from the most amazing, vintage ice cream stand – a giant cone! Perfect for a hot Edmonton day! Sorry, we don't know when The Cone will be open next. We last saw them on September 5, 2016 at 90th Ave And 99th Street. Check back soon — as soon as they post their schedule it will show up on this page. Do you own The Cone? Sign in to post your schedule.